As a gentile living in Salt Lake City, the holy beating heart of the Church of Jesus Christ of Latter Day Saints, I probably have no right to meddle in Mormon religious matters, even though the Church meddles in secular ones every day: a prohibition on Powerball tickets, a ban on adoptions by cohabitating couples, arcane liquor laws that turn restaurants and taverns into temperance-era time machines, Proposition 8. I certainly had no right to attempt to claim a place in the standby line for the Priesthood Session of the LDS October 2013 General Conference. Besides being a gentile, I am also a woman: strike two. In the Mormon faith, men get the priesthood and women get motherhood. Men bestow blessings and women birth babies. Strike three: I am childless. Strike four: childless by choice. After four years in Utah, during which I had learned to soften my loudmouth and dodge conversations about family and children, it astonished me when Mormon feminist organization Ordain Women called out the Church on its separate-but-equal lie: Motherhood is not equal to the priesthood. Motherhood is equal to fatherhood. Only priesthood is equal to priesthood. Until Ordain Women made headlines, I was only dimly aware of Mormon feminism. I had heard of excommunicated feminist scholars and a “wear pants to church” protest, but Ordain Women felt more direct and radical, more relevant. Ordain Women believes the priesthood should transcend gender and parenthood, just as Joseph Smith intended in 1842 when he envisioned the Nauvoo Female Relief Society as a “Kingdom of Priests.” Without the priesthood, women cannot take the reins of clerical or ritual authority. Men oversee everything they do, even in the all-female Relief Society. When the Church limits women’s roles because of motherhood, it echoes patriarchal justifications for locking women out of everything from the voting booth to education. Maybe if women held the priesthood keys, I thought, they would spring open doors for me, too. Maybe I could finally claim a place for myself here, a childless gentile in Zion. Do not get me wrong. Everywhere I have lived, I have endured relentless uninvited commentary about my choice not to bear children. I am selfish. I am depriving my parents of grandchildren. I will never know real love. I will never be a true adult. But here in Zion, the commentary cuts deeper: Here, I am denying spirit babies their bodies. Here, I am defying God’s commandment to “be fruitful, multiply”—and risking the salvation of my soul. I am going against God’s plan. The patriarchy of the church trickles down into my life, too. What happens to Mormon women happens to me. The week before General Conference, when the Church denied Ordain Women’s initial request for tickets to the priesthood session, I thought, this is what it was like for my mother and her mother and hers. This is history. Founder Kate Kelly refused to give up, declaring, “We consider ourselves to be prospective priesthood holders.” As such, she had every right to knock at that door and prove to the Church that she meant it—and she would. If she could muster the courage to knock at that door, I could, too. So on October 5, 2013, when Ordain Women attempted to claim places in line for standby tickets, I joined them, although I did not join them as myself. I joined them as a woman I’ll call Sarah, who could not attend and whose name I drew from a stack of proxy cards collected by organizers and offered at the start of the event, similar to the LDS ritual of getting baptized by proxy for a deceased ancestor. I was her proxy sister, and it was my sacred duty to carry her to the door of the Tabernacle. At least, that was my justification on that day. Now I know I had it backwards: she was the one who carried me. Hours before walking to City Creek Park where Ordain Women gathered for a prayer and hymn, I realized I did not own a stitch of appropriate attire. Every member of Ordain Women, I was certain, would show up in raiment befitting potential priesthood holders. All I had was a closet full of hippie patchwork dresses, boyfriend jeans, and Chuck Taylor All Stars. On the one hand, patchwork dresses are at least dresses; on the other, you can see the silhouette of my thighs when sunlight hits the diaphanous cotton gauze—not exactly modest attire for Temple Square. Gentile that I am, I still respect the sacred space beyond those fifteen-foot walls. Plus, it was chilly, the first true autumn day. As for the boyfriend jeans: modest but sloppy. Tomboyish. Too broke to justify new clothes, I was trapped in a double bind: dress like a boy or stay home. Would my baggy jeans insult these women who yearned for the priesthood so badly they were willing to risk apostasy—or worse, excommunication? Would I attract hecklers? Then I realized that my dilemma represented the secular vs. spiritual tug-of-war I face every day living in Salt Lake City: How do I navigate Zion’s spiritual and cultural expectations of femininity and modesty while staying true to who I am? On my way to City Creek Park, I stopped in Temple Square and listened to Elder D. Todd Christofferson’s voice booming almost God-like over loudspeakers. A woman’s moral influence is no more or nowhere more powerfully felt, or more beneficially employed, than in the home. I found myself transported to the first time I heard words thundering over a loudspeaker. It was a union picket, probably 1979 or 1980. I was four or five. A man chanted, “Solidarity Forever,” and picketers sang back, a call-and-response. I never forgot it, the visceral feeling of words at that volume, how they vibrated in my heart and bones. As Elder Christofferson spoke, I watched a pair of little girls, maybe six years old, spinning in frilly white flower-girl dresses by the edge of the reflecting pool, as if rehearsing their future wedding dance. Most sacred is a woman’s role in the creation of life. Were these their first loudspeaker words, the first ones to vibrate inside their hearts? Families picnicked on the lawn east of the looming temple spires: men with their suit jackets strewn on the grass, sleeves rolled up, backs of their hands shielding eyes from the afternoon sun; women tossing napkins and sushi trays into Harmon’s grocery store bags, wiping their toddlers’ mouths. If this were Portland, Oregon, where I lived for nine years before moving here, somebody would have raised a fist and shouted. We have enough patriarchy! We need less theocracy! I was an ex-pat in my own country. And yet, part of me must have assimilated. Why wasn’t I raising my fist? Why wasn’t I shouting? Take particular care that your dress reflects modesty, not vanity, and that your conduct manifests purity, not promiscuity. —I thought again of the hippie patchwork in my closet and felt good for choosing my comparatively modest jeans. Then, as if to put me in my place, a young elder walked by, looked me up and down, and scowled. I could almost hear what he was thinking: Tomboy. Dress like a woman. 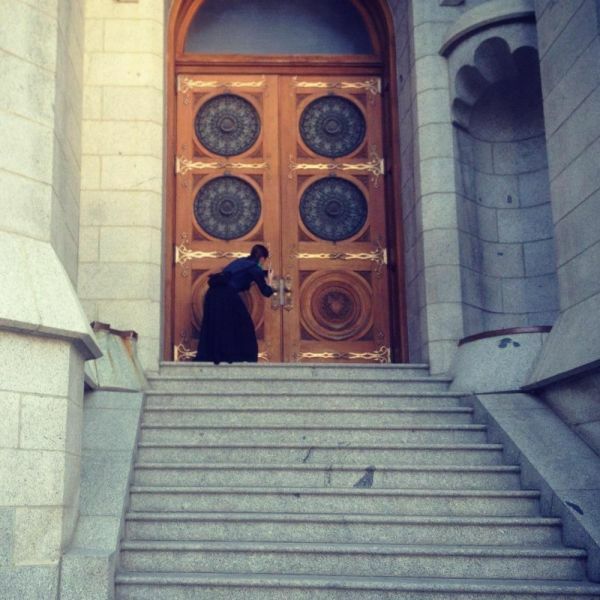 By the time it was almost my turn to approach the Tabernacle door, I already knew it would not turn out the way that Matthew 7:7 booming over the loudspeakers in Temple Square a few hours earlier had promised: knock, and it shall be opened unto you. Not this door, not this time. 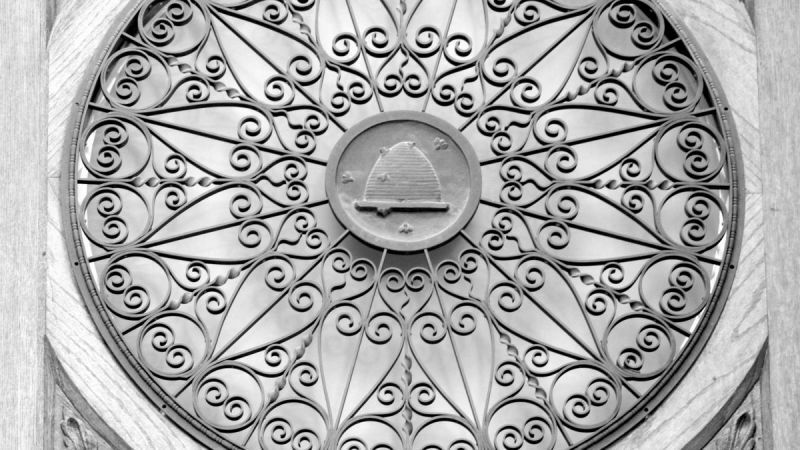 The guard standing sentry at the bottom of the steps had turned away Kate Kelly, and the news trickled down within minutes to the rest of us, along with a message to stay in line: each of us would knock at that metaphorical door, even knowing the answer. We would force the Church to cast us out one by one, not just our gender, but us. 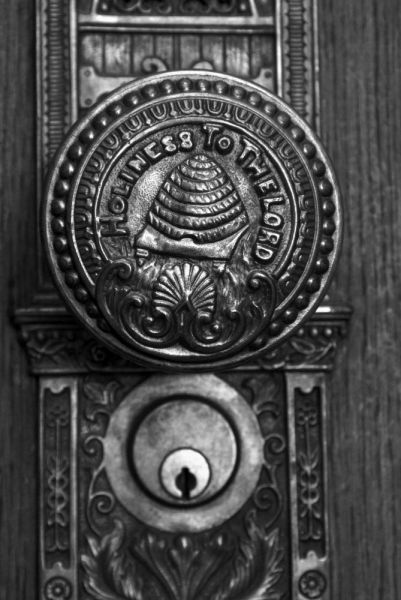 After the protest, Kelly blogged on Ordain Women that she had walked to the door “filled with hope, faith and (perhaps delusional) optimism.” She believed—really believed—that if the men at the door “could see our sincerity and our tears and our pain, in person, they would respond to our faithful pleas with equal measures of love.” What for her had been an act of pure faith had for the rest of us transformed into a ritual drama. Earlier, as we walked two-by-two from City Creek Park to Temple Square, we passed elders holding up signs, the best-dressed beggars I have ever seen in their starched white shirts and black wool suits. “Need Tickets,” their signs read. Nobody around me seemed to notice this reversal of the normal order in Zion: men beseeching women. 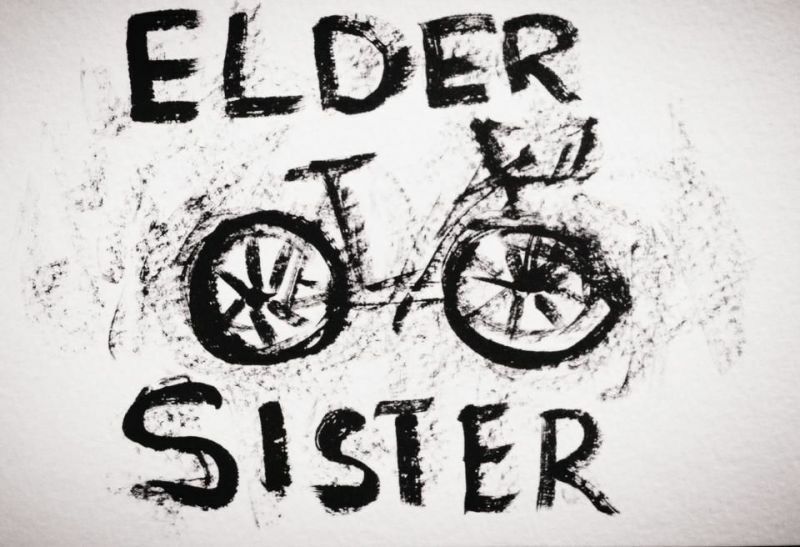 I thought the elders meant it tongue-in-cheek, a jab at Ordain Women for attempting to “steal” their tickets. I knew then that the elders on the sidewalk had been sincere, and in fact, their signs were not directed at us at all. Walking past the conference center, we simply happened into their path. By contrast, Ordain Women rules forbade begging tickets off sympathetic male friends or relatives. This protest was not about getting in. It was about being let in. Still, I wondered why we did not thrust signs into the air and chant. Did the elders milling about on the square know why we were there? Did the frilly princess girls? How could they know our purpose if we did not assert ourselves in some way? Until Ordain Women, all my protests had been secular. I once dressed in all black for a theatrical funeral procession through downtown Portland to protest the Carabinieri shooting Carlo Giuliani at the Genoa G8 Summit in 2001. At the front of the march, several “pallbearers” carried a black cardboard coffin aloft, which we planned to lay at the door of the World Trade Center. On our way there, we staged a die-in in front of the Oregonian newspaper offices. Another time I locked arms with a line of strangers to prevent donors from exiting a parking garage to attend a fundraising dinner for President George W. Bush. In Washington, D.C., I plopped down in resignation on grass in front of the World Bank as riot police circled our demonstration. Locked arms, blocked intersections, costumes, signs, chants, dances, drummers, direct actions, handkerchiefs shielding nose and mouth in case of pepper spray: these signify protest to me. But how do you mount a religious protest, where your target is a higher authority? And in Zion, is there ever really a difference? In March 2011, I attended a protest in the Capitol Rotunda against HB477, a bill that threatened to strike at the heart of Utah’s model public records access law, the Government Records Access and Management Act. Conservatives and liberals joined forces, and for the first time since moving here in 2009, I felt like I could claim a place in this community. As I ascended Capitol Hill on foot that day despite an aching knee and a fever, I realized how hungry I had been to get involved in civic activism again, to carve out a space for myself as a Utah citizen. I moved to Utah kicking and screaming when my husband landed a promotion he could not refuse, and for the first few years, I barricaded local politics out of my life, refusing to learn representative names or follow the issues. As a liberal gentile, I felt like I had no voice, anyway—no hope of being represented. Even most Democrats in this state sound like Republicans to me. But HB477 turned the tables: it promised to barricade me out. If I wanted any hope of change, any hope of a life here, I had to claim it before it was too late. —but they did not, as Portland anarchists would have, lock arms and shut down the capitol. They spoke their minds for the appointed time and dispersed on cue. In other words, there is no such thing as a purely secular protest in Zion. But is there such thing as a purely religious one? Now, standing in line at the Tabernacle, I clutched my proxy card, worried if I loosened my grip it would float away on a breeze. Back at City Creek Park, when organizers had invited attendees to carry proxy cards, I knew I wanted to do it. I felt the desire viscerally, a physical ache in my lungs. It was so intense I almost reached for my inhaler until I realized this ache was not asthma: it was a testimony, Mormon-speak for burning in the bosom, the fire of truth. I wondered what it meant to volunteer to get cast out for somebody else—and for somebody else to request it. It was the opposite of a proxy baptism, when living Mormons stand in for the dead, getting dunked in the baptismal font on their behalf, a magical telegraph bouncing from star to star: you are wanted in our fold. My proxy was alive, inhabiting a body. 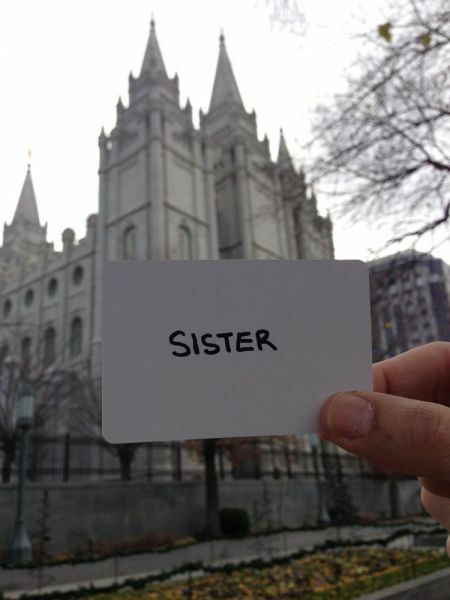 And I did not telegraph her; she had telegraphed her Mormon sisters when she answered the Facebook call for women to send their names if they could not be present in body but wanted to be present in spirit. Her transmission had bounced off the wrong star and somehow found its way to me, the gentile, when I pulled her card. What if these women knew about the afternoons I spent circumnavigating their temple during my early days in Salt Lake City, longing to tap into that magical telegraph machine and zap a signal to my dead brothers in the phantom zone? Or the time I wrote my brothers’ names on a slip of paper and carried it to the temple doors, where for just a moment, I considered sticking it into the lock like a pathetic skeleton key? Was I so desperate to tap into the temple telegraph machine that I was using Sarah to do it? On the loudspeaker, Elder Christofferson had derided feminists for scorning the “mommy track,” but he was wrong. Back at City Creek Park, I had witnessed an Ordain Women member fielding urgent texts from her daughter about an eleventh-hour homecoming dress catastrophe. All around me in line, women fussed with strollers and tended to toddlers. And just as I had predicted when I scorned my baggy jeans in my bathroom mirror, the Ordain Women members came dressed worthy of the priesthood: most of all Kate Kelly in a mustard yellow, waffle-knit blazer and purple pencil skirt. These women radiated color, a stark contrast to the elders’ black-and-white suits. Even here, I did not fit in, except for this: All my life, people like Elder Christofferson have assumed I thumbed my nose at motherhood, but they never ask why I do not want children, just like they do not ask these women why they want the priesthood. Suddenly, it felt right for me to carry Sarah to the door of the Tabernacle. Who better than the gentile, the childless-by-choice tomboy in boyfriend jeans, to be cast out on her behalf? For that is what I am, always, as long as I live in Salt Lake City: an outcast. Marked, set apart. 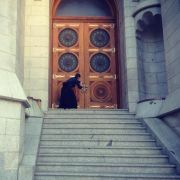 One by one, women ahead of me approached the Tabernacle steps. One by one, they sought entrance. The guard meant they could log onto LDS.org to watch the priesthood session live for the first time in history, the perfect Orwellian maneuver: nobody could accuse the Church of sexism if women could live stream the priesthood session at home—at home, there was that phrase again. At home: where I had almost stayed because of a stupid outfit. When it was my turn to break from the line and approach the Tabernacle alone, I glanced from the crowd of people to the men snapping camera shutters at the front of the line and thought, “Nobody knows I am doing this as a proxy.” Should I announce it? Was it dishonest to let them think I was Mormon? Or could they already tell? I looked up at the temple. How did I not notice before? Our ritual was playing out in the shadow of the west central tower, the one with the Big Dipper carved into it: the constellation for lost souls. In the basement below lies the baptismal font, where proxies stand in for the dead. 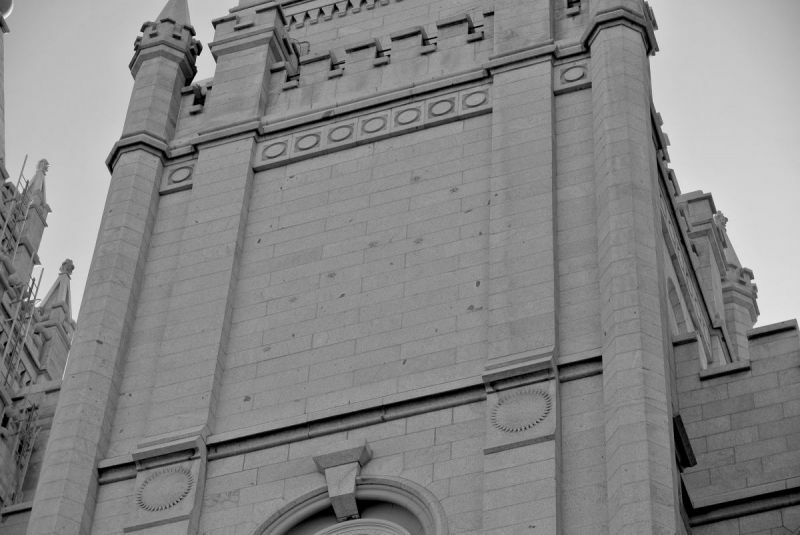 If the temple really were a telegraph machine, the tip of that Big Dipper handle would be the wire connecting to the sky, to Polaris, the North Star. From there, any soul can be found, maybe even living ones. Maybe my proxy sister’s. Maybe by standing here, I was transmitting a message to her. I swallowed hard: dry tonsils, pill-stuck-in-my-throat feeling. “I am seeking entrance for me and”—I thrust out the card instead of speaking her name, as if exorcising her from my body. I needed the guard to see her as separate from me. To my surprise, he leaned forward and read her name. He did not hurry. 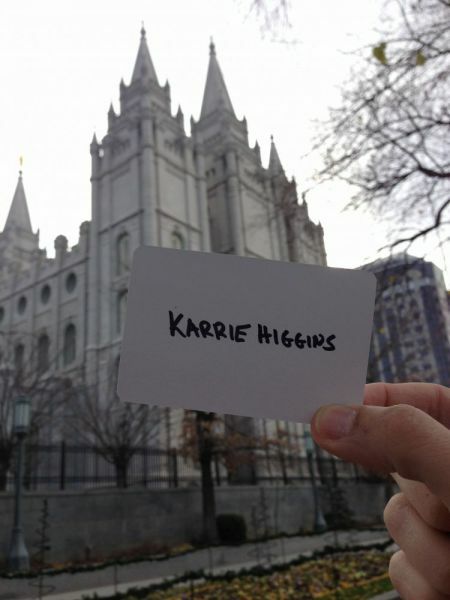 As a Mormon, he understood what it meant to be a proxy for someone. He understood I was carrying a burden. In this small act, I had transferred my burden to him. But I had given myself away all the same: No Mormon in the baptismal font would exorcise her proxy. I was a phony. For the first time, I felt the full weight and power of the Church bearing down on me, as if for that moment, the temple had been tilted from its foundations just a crack to let me peer inside at the baptismal font, then dropped, Wizard-of-Oz like, crushing me. It did not matter if I thrust out the card. What mattered was my heart. I had become her. I had become a Mormon woman. I maintained eye contact as I nodded. I did not cry because I did not know if Sarah would cry. Finally, I understood: This protest was not a protest at all, but a prayer. We did not need signs because Heavenly Father could read our hearts. We did not need chants or locked arms or sit-ins because in the very submission the Church demanded from us as women, we held the trump card: We had made them tell each and every one of us no. We had made them witness our submission. We had made our burden theirs. It was not a ritual drama; it was real. As I rejoined the crowd, a brilliant green dump truck loaded with trash bags barricaded us from the door: picnic detritus of the day—paper cups, sticky silverware, empty sushi trays, greasy napkins—the very things the Church’s strict gender divisions define as “women’s work,” were now a literal barrier to entering the Priesthood Session. I was the only one not singing, the only one who did not know the words. Was he mounting a secular protest or a religious one? After all, in the Mormon faith, there is such a thing as false testimony, a burning in the bosom inspired by the devil instead of Heavenly Father. And yet, that Utes hat: a cheeky reference to the annual “Holy War” between the BYU and Utah Utes football teams. I got the sense the Dark Lord of the Hair Club for Men was more riled about women’s social roles than any doctrinal dispute. But then, isn’t that what we had just protested: social roles as doctrine? Later, when we returned our cards so our proxy sisters could keep a tangible memento, I asked if I could contact the woman on my card. I wanted to tell her how it felt and what it meant to me to do that for her. The organizers suggested I write my name and email address on the back of the card, so I did. Even if she never contacts me, we are eternally connected as proxy sisters now, our relationship sealed by that artifact, an unofficial temple ordinance record. On my way out of the park, I asked one of the women if it might offend my proxy sister to have a gentile carry her name to the Tabernacle. I knew right away what she meant: If non-LDS males who possess no other credentials for the priesthood than their gender can attend the priesthood session, certainly non-LDS women who live under this patriarchy can, too. But for me, it also meant something more fundamental, something less and something more at the same time: Why not me?